We're all familiar with American and German potato salads, but less so with their Austrian counterpart, a lighter, brighter version of the dish that's simultaneously more refreshing (there's no mayonnaise in it, and relatively little fat overall) and deeper in flavor, thanks to the incorporation of chicken broth and the savoriness it brings. Storing potatoes in the refrigerator allows enzymes to convert starches to sugars, giving the potatoes a hint of sweetness and a creamier texture. Peeling and slicing the potatoes before cooking helps them cook more evenly, while boiling them along with their skins adds back some of the skins' earthy flavor. Adding vinegar to the potatoes immediately after cooking allows the vinegar to penetrate more deeply. Chicken broth adds savory depth to the dressing. Place sliced potatoes in a large saucier or Dutch oven and cover with water. Season generously with salt. 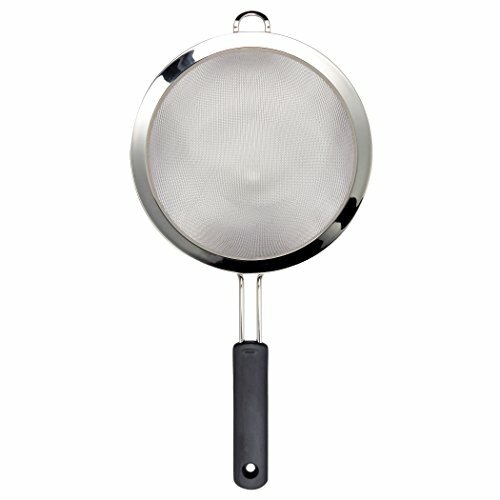 Place potato skins in a fine-mesh strainer and place on top of pot. Add just enough water to submerge potato skins. Bring to a boil over high heat and simmer until potatoes are tender, about 15 minutes. Discard potato skins, drain potatoes, and transfer to a rimmed baking sheet. Immediately sprinkle with 2 tablespoons (30ml) vinegar and set aside to cool. When they are cool enough to handle, transfer potatoes to a large bowl. Add remaining vinegar, olive oil, mustard, red onion, chives, chicken stock, and sugar. Using a rubber spatula or wooden spoon, roughly stir and fold mixture so that potatoes release some starch and liquid begins to thicken a little. Season to taste with more salt and white or black pepper. Set aside to rest for at least 30 minutes and up to overnight. (If resting longer than 4 hours, cover bowl and transfer to refrigerator.) Stir again vigorously to thicken dressing; it should have a loose but not soupy consistency. If it's too thick, thin it out with a little extra water or chicken stock and re-season. Serve cold or at room temperature. For the best flavor, store your potatoes in a bag in the refrigerator for 2 to 3 weeks before using them in this recipe, in order to allow natural sugars to build up. 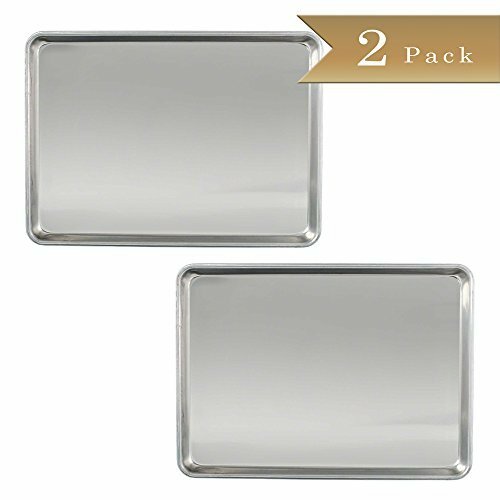 Set of 2 - TrueCraftware 18 Gauge Aluminium Commercial Baker's Half-Size Sheets / Baking Trays / Pan / 13 x 18"